برای خرید استاندارد Establishing and Verifying an Extended Measuring Interval Through Specimen Dilution and Spiking که در ارشیو گیگاپیپر موجود است، با ما مکاتبه کنید. برای خرید کلیه فایل های موسسه استانداردهای آزمایشگاهی و بالینی (Clinical and Laboratory Standards Institute, CLSI) با ما مکاتبه کنید. پس از ارسال شماره استاندارد CLSI و عنوان استاندارد CLSI، هزینه فایل به شما ایمیل می شود. پس از واریز هزینه استاندارد Clinical and Laboratory Standards Institute ، فایل PDF ارسال می شود. 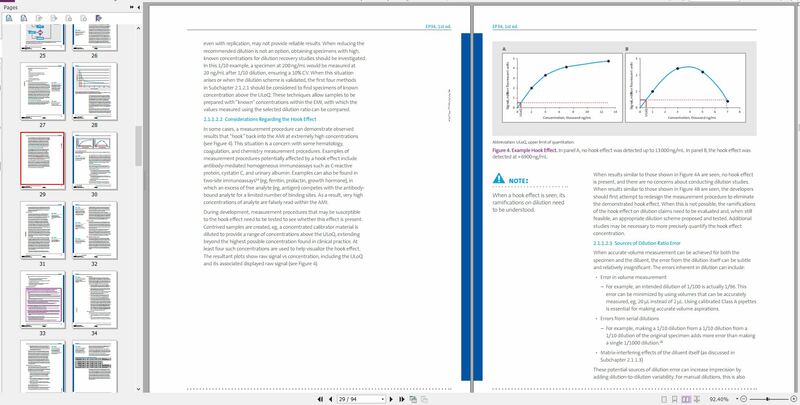 It is often medically necessary to provide results for specimens with concentrations above the analytical measuring interval of an in vitro diagnostic measurement procedure. 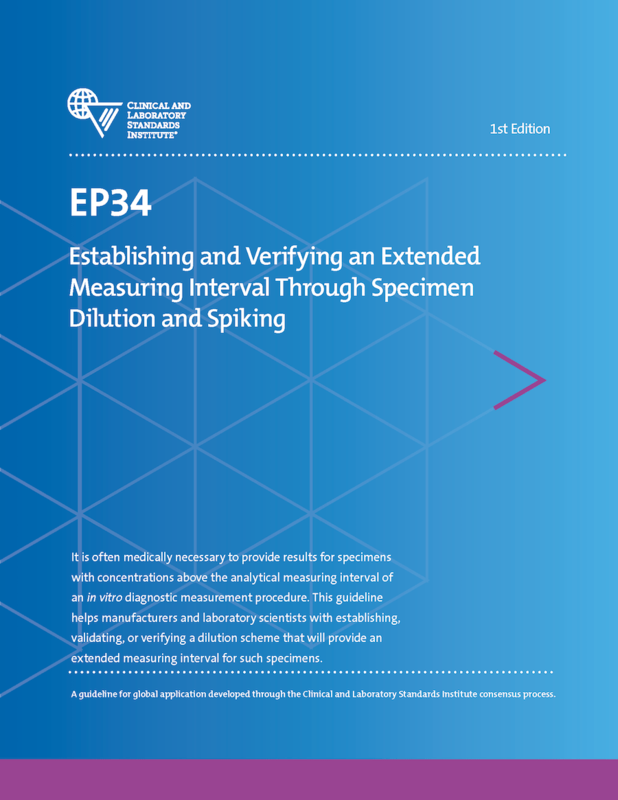 This guideline helps manufacturers and laboratory scientists with establishing, validating, or verifying a dilution scheme that will provide an extended measuring interval for such specimens. 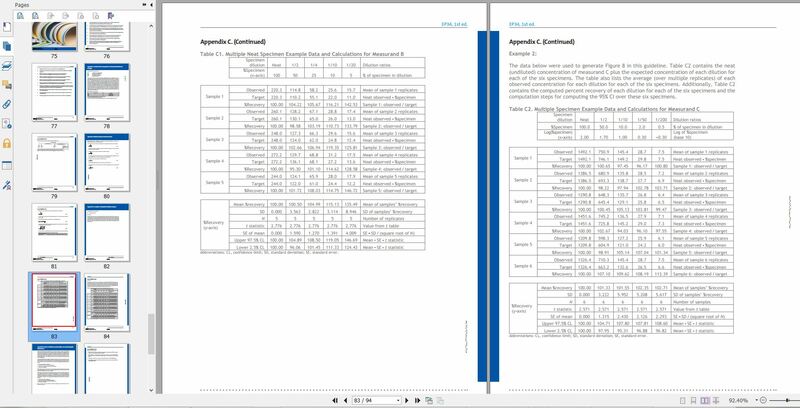 جهت اطمینان از کیفیت استاندارد EP34 Establishing and Verifying an Extended Measuring Interval چند تصویر از فایل PDF در ادامه بصورت رایگان آورده شده است.